I like to be opinionated sometimes & express my views and can be highly judgemental when I want to be.. I'd have to admit that I've become quite an Apple fan over the years and as a result I've got to know their products very well. I used to be very biased till discovering the not so great things about their offerings.. The iPad clearly has both pros and cons to it, of course I'll cover the good things first. It's a really great tablet computer that's clearly defined, what a touch screen computer should be as there was nothing like it before its debut. It offers the same great experience of multitouch from the iPhone with a handful of gestures to get repetitive tasks accomplished quite easily that would require extra effort if done with any touch screen Windows 7 tablet. Apple tries very hard to make things appear simple and easy to use and one look at the home screen after boot up clearly portrays that. Every single element is touch optimised so it's hard to miss the touch target which therefore makes the whole iOS experience on a tablet a less frustrating one. Probably the nicest part of the whole iPad experience is the user interface of programs that people would interact with such as iBooks. Anyone who's never used an iPad before would instantly figure out what's on screen and have a delightful time with the novelty-ability of turning a page like in a real book. The fact the iPad has the largest library of tablet-optimized apps is by far the greatest selling point of the tablet compared to any android or windows tablet since it'll appear to offer greater value for the money getting spent on a premium tablet of its league. 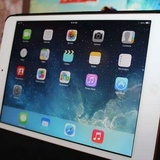 Despite what some people think the iPad is far more than a mere media consumption device because of apps such as the iOS versions of Pages, Keynote and Numbers which allow you to get serious work done. Games will always be better using buttons but Apple has pushed developers to innovate touch screen controls and the sorts of games coming out on iOS are amazing. The not so good parts of the iPad are its limitations compared to its desktop powered MacBook computers. iOS has slowly gotten better and better over time but there's some weaknesses which still fail to be addressed due to the operating system's push towards keeping everything in the cloud. Of course keeping files like a resume for example is great to keep online, but there's still a lot of websites out there which depend on the user's local storage. Simply downloading a file from mobile Safari is a no-go and the creation apps which are available for iOS aren't usually as feature rich as the desktop equivalent. These problems aren't always something restricted only because of the operating system because the power efficient chips which run the iPad are only so powerful. Most consumers may not require the power of a full desktop computer and so it'll still be great for some people.